Imagine That...: Archie and the Gang! 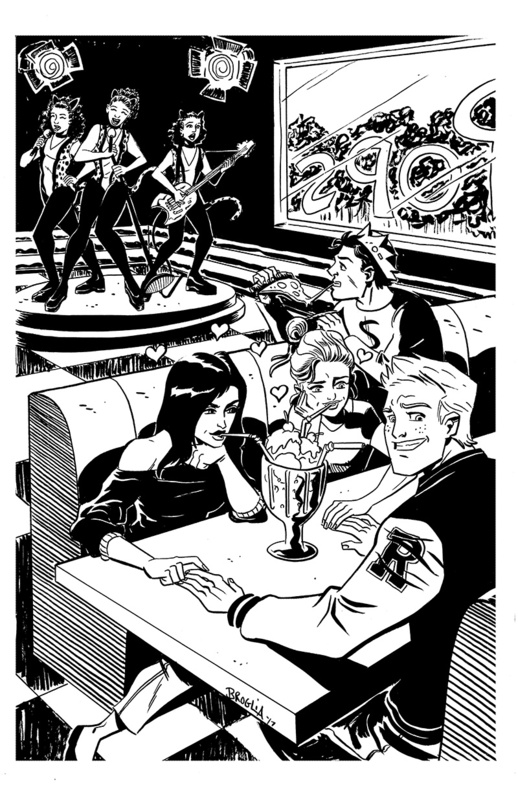 I've really been enjoying the new line of Archie comics since the reboot by Mark Waid and Fiona Staples. I highly recommend it. A nice highlight as well was is the Jughead: The Hunger oneshot written by Frank Tieri. Definitely go check it out. I've even been tuning into the Riverdale series on The CW and it has quickly become guilty pleasure viewing for my wife and I. Here is a little bit of fan art I did to pay homage to both the new comic and television series. STAR WARS: Tales From the Far, Far, Away.